Electricity: How Does Electricity Make us Grow? Electricity can generate enough energy to strike a tall tree and set it ablaze or it can emit a subtle enough charge to cause our hearts to beat without our even noticing. We use it to illuminate our homes and operate our cars. Electricity is even used by our brains to create thoughts and to carry our will. There are two types of electricity and Orisa Sango has the potential to wield them both. He possesses the abilities to blaze a fiery hot trail in the form of “Current” electricity and can also remain cool as “Static” electricity until the right moment arrives to let loose! His unique balancing act is the result of his being born of Aganju’s energy of anger and Obatala’s energy of logic. The combining of the two also dictates his colors of red and white, respectively. In historical “accounts,” Sango has been connected to three different Goddesses: Oba of the River, Oya of the Wind, and Osun who is protector of our heads and inner souls. All three of these Orisas are good conductors of Sango’s energy. His brother is said to be Ogun, the God of iron and Sango, as great a warrior as he is, remains the more level-headed of the two. He is the Orisa of justice, which is perfectly fitting of one who is able to keep a cool head. Sango is a good ally to have when decisions of any kind need to be made, especially those that require us to deal with highly emotional people because of his ability to keep us calm. Many times, the emotional person we need to deal with is ourselves. There are times when we are down and need to rev up and other times when we need to tone our energy down and be still. Utilizing Sango’s energy can help to keep us from making extreme moves. Feelings such as fear, anger, or even an overwhelming feeling of desire, can greatly affect our ability to be objective enough to consider all that we should take into account before making a move. Imagine that life is a game of chess. Pieces will be taken. Rules are in place. Normally in any situation, one person will dominate and one will recede. With the energy of Sango, we can move in such a strategic fashion, that we are able to understand the thought patterns of our opponents without our emotions getting in the way. 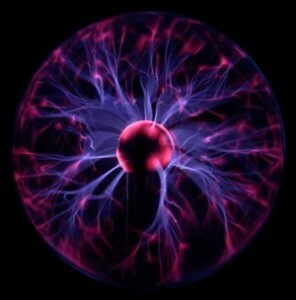 Electricity is energy and it surrounds us at all times. In a century, where people get so upset that “random” acts of violence are commonplace, we may even want to ask for Sango’s protection from the energy around us or even ask that it stays calm. There are many more areas in which this energy can help in our everyday lives. Due to its potential to either sustain life or to destroy it, we would be wise to learn from one who can guide us in working with this energy.